DJ gear needs sturdy knobs, high quality cables and cool MIDI controllers. That’s what you will find in the DJ TechTools range. Want to perform a DJ set with real added value? Use the MIDI Fighter to remix at the spot, add effects or to control your DJ software. The MIDI Fighter enables you to do some extensive MIDI mapping. Program your MIDI Fighter the way you want to use it. When you have bought your MIDI Fighter, choose one of the available mappings on the DJ TechTools website, or start working on your own MIDI mapping. Truly a controller for real DAW fans. 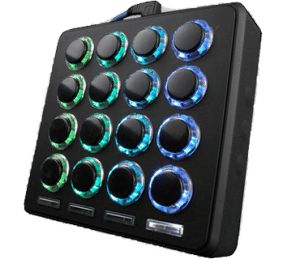 The MIDI Fighter 3D comes equipped with 16 large arcade buttons and 4 oblong feature buttons with customisable RGB LED backlights. The left and right hand sides each have another 3 buttons to switch modes. The built in gyroscope enables the MIDI Fighter 3D to react to horizontal and vertical motions. Accurate and detailled precision on all axis (3D). Full-motion tracking of tilt, pan and rotation. Map accelerometer data to any midi-compatible effect or software (Traktor Pro, Ableton Live or Serato Scratch). You have 16 endless rotaries to control the MIDI Fighter Twister. These endless rotaries can be used as a push switch as well. Like the MIDI Fighter 3D, the MIDI Fighter Twister has another 3 buttons for switching modes on both the left as well as the right hand side. Each cable is equipped with two gold plated connectors and fully-braided shielding to eliminate interference of the signal through your cable. The standard cable is the straight cable. There’s also an angled cable, which prevents your cable from being pulled out easily. The angled cables are very useful when you have very little space in your DJ booth. 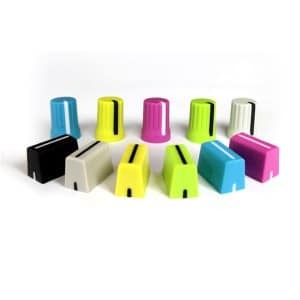 Or use them for MIDI controllers, like the MIDI Fighter 3D, as they give more flexibility to move around with your gear. 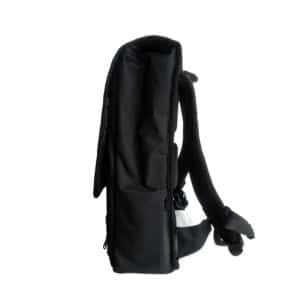 The attached velcro strap helps you to wrap your cable easily and put it neatly in your DJ bag. The controller backpack has been created for perfect carrying comfort, even when heavily packed. 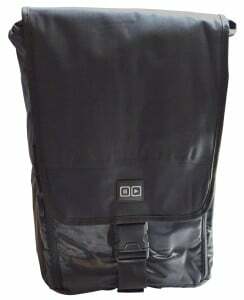 The Controller Backpack has more than enough space for your controller (Z2, S4, Machine Studio), laptop, sound card, cables, headphones and more. There’s a seperate side access zipper pocket for the laptop, making it perfectly protected as well as easily packed and unpacked. 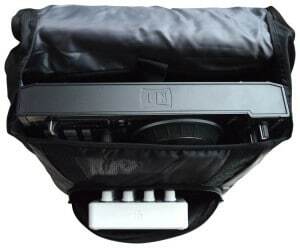 Heavy duty backpack, for safe transport of your controller and accessories. Controller pocket (457 x 304 x 76 mm), also for Ableton Push, Maschine MK2.